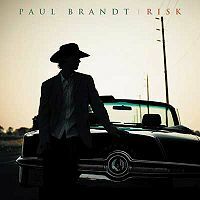 Paul Brant: Do YOU Know who Paul Brandt is? "I listen to Paul Brant"
You must have heard of Paul Brant unless you've been living in the dark ages. He is after all a true Calgarian, being both born and brought up in Calgary, Alberta. He is now a very popular country music artist as well as one of the most acclaimed male country artists in Canadian history. Though you may be familiar with his country music lyrics, after all they are something a little different, did you know that he started out as a gospel music artist? This was back when he was a child, when he also learned how to play the guitar. Paul Brandt, as he really spells it, was born with the name Paul Rennee Belobersycky, back in July 1972. I'll be honest and say I don't know when exactly he changed his name. But at some point before his career really took off, he changed his name from Paul Rennee Belobersycky to Paul Brandt. Which, I at least, find a little easier to say. Still, it's remotely possible you have not heard of him. If you've visited any of the country music bars in the Calgary area, you may well have heard his music. Or at least you saw him on the Alberta Ford commercials. Just think back to the last time you were there and ask yourself if you heard some good country music with lyrics you could easily relate to. If you did, chances are it was Paul Brandt singing. 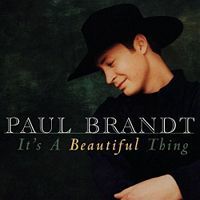 Even if you don't visit the country music bars but prefer to stay in and watch a film, you may also have heard Paul Brandt as his music has accompanied movies such as the Mel Gibson film We Were Soldiers. As a dedicated Christian, Paul's music has been influenced throughout the years by gospel music artists all over the map, but in a way unlike most others. The influence is not extremely overt, making his music appealing to the wider audience consisting of Christians and non-Christians alike. The lyrics he uses also appeal to all ages, both young and old, as they seem to come from the heart and as such, are easy to relate to. All in all, Paul Brant is doing extremely well in his chosen career and his popularity shows no sign of slowing down. Which is great news for all who really like his music. Go back from Paul Brant to the Internet Site Map webpage, or visit the Calgary City Maps homepage.